Circadian Rhythms and the Human covers the basic principles behind the human circadian rhythms. This book is composed of 12 chapters that discuss the detection, analysis, and definition of rhythms, specifically exogenous and endogenous rhythms. This book also demonstrates the mechanism of metabolic and gastrointestinal rhythms. 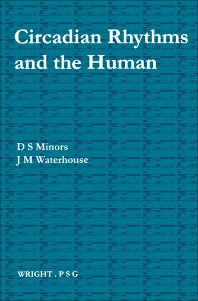 The opening chapters deal with the rhythms in living organism; establishing the endogeneity of rhythms; definition of nychthemeral rhythm; methods of measuring the frequency of rhythms; exogenous effects upon the temperature rhythm; interaction between exogenous and endogenous influences; and possible origins of renal rhythmicity. The succeeding chapters consider the effect of exercise at different times of day and the concept of sleep-wakefulness rhythm. The discussion then shifts to the effects of repeated time-zone transitions and the effects of time on drug administration. The closing chapters are devoted to the assessment of work performance during shift work. The book can provide useful information to doctors, students, researchers, and the general reader.